This bacon is like no other you have ever tasted. 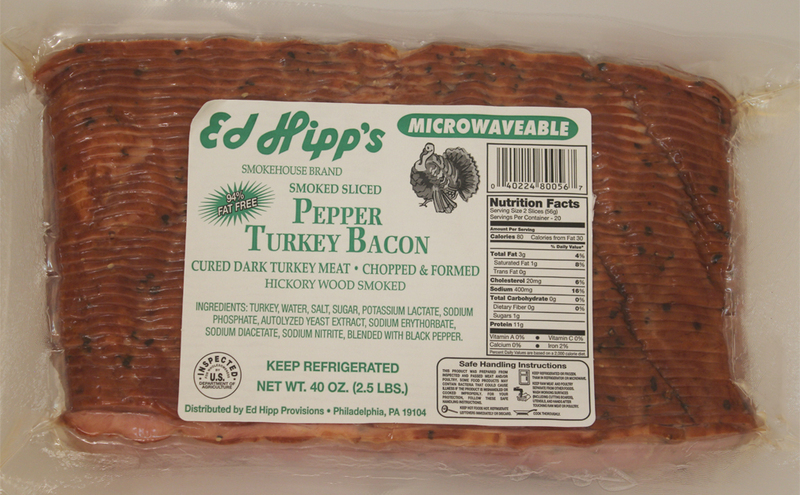 Blending lean, hickory wood smoked turkey bacon with black pepper adds a zing that people love. 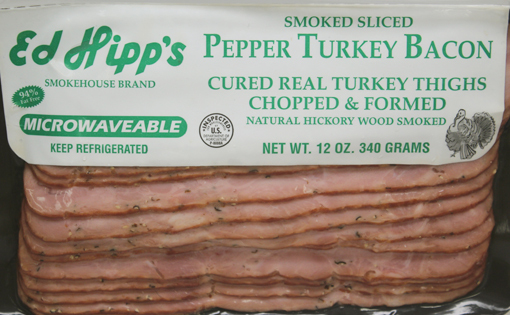 Our Smoked Sliced Pepper Turkey Bacon is guaranteed to add a deliciously peppery twist to your breakfast, lunch or dinner dish. 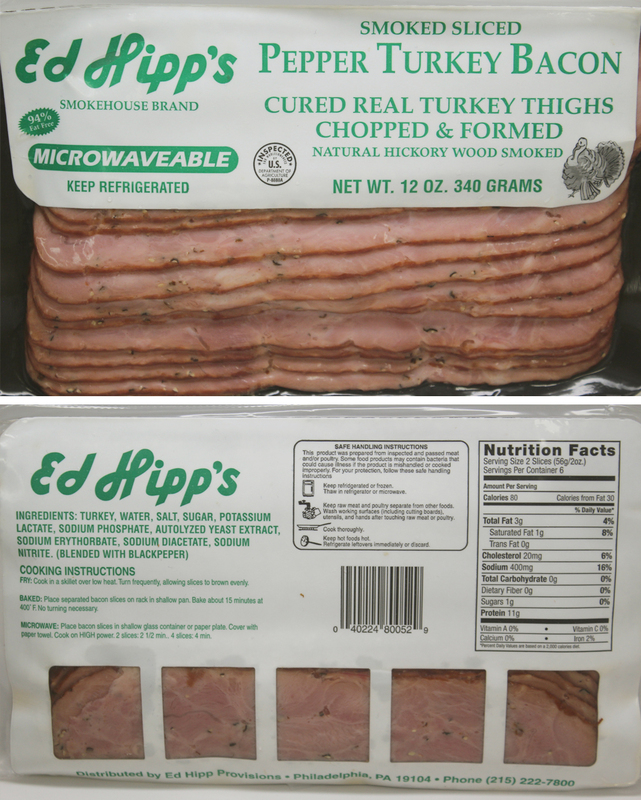 Product available in .75 and 2.5 pound sizes.